While you cannot stop the aging process, at Okanagan Skin Clinic, our specialists can help you slow its progress through the use of powerful, non-surgical anti-aging treatments. Whatever your aesthetic needs, our skin clinic provides a range of safe and effective non-surgical cosmetic treatments including Botox and Juvederm to brighten your appearance, smooth out wrinkles, and help you feel years younger. With advanced cosmetic solutions including microdermabrasion or injectables such as Botox and tissue fillers, maintaining vibrant, younger-looking skin has never been easier. 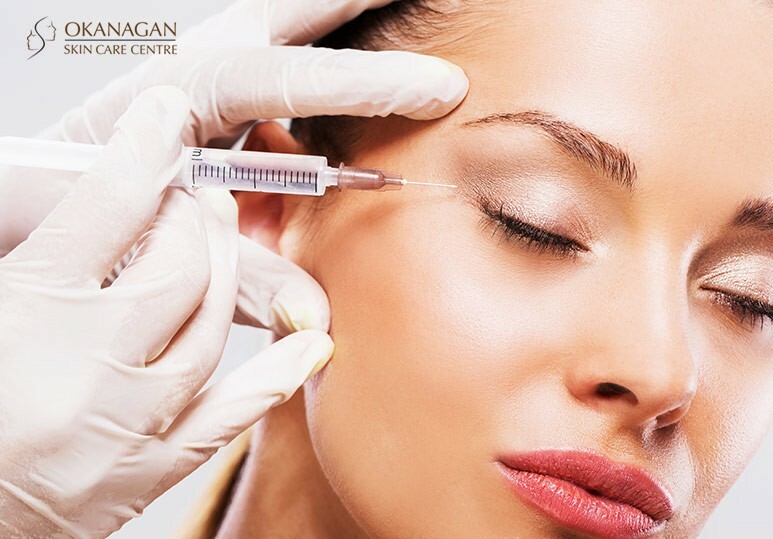 Botox is one of the most requested cosmetic treatments at our skin clinic for patients wanting to prevent or reverse the signs of aging on their face. Unlike tissue fillers, which work to plump up the skin, replacing lost volume, Botox works by limiting the activity of facial muscles which cause dynamic wrinkles. In addition, Botox can also be used as a preventative treatment for patients in their 20s and 30s. By reducing muscle movement in wrinkle-prone areas, Botox can slow down your aging process and prevent lines from appearing as quickly as they otherwise would. As you age, your skin begins to lose the collage that helps support and shape it. Tissue fillers such as Juvederm are made from hyaluronic acid, a naturally-derived material, and can be injected into the skin to make it fuller. When injected, Juvederm works to restore lost volume and elasticity and brings water to the surface of your skin, keeping it looking fresh and supple. If you are looking for an effective anti-aging treatment that can provide immediate, dramatic results over your lunch hour, you may want to consider a Juvederm treatment. Microdermabrasion is an intense yet gentle exfoliation process that rejuvenates the skin by using diamond chips to remove the upper layer of dead and damaged skin cells and reveal more youthful, healthier cells below. Non-invasive and non-wounding to the skin’s surface, microdermabrasion entails virtually little discomfort and downtime, stimulating the production of collagen and elastin for a firmer, more youthful appearance. Venus Viva is one of the newest and most advanced FDA approved, non-surgical, anti-aging treatments. By combining NanoFractional Radio Frequency (RF) and SmartScan technology, Venus Viva works to improve the overall texture of your skin for a brighter, more youthful appearance. By stimulating long-term collagen production, Venus Viva provides dramatic and natural-looking anti-aging results. This helps you look and feel rejuvenated. To learn more about our wide range of anti-aging treatments including tissue fillers and Botox, contact our Kelowna skin clinic today at 250-868-9290.